Monday, 13 March 2017. Learning about great research on electric fish. Our students in grades 3-8 will visit the laboratory of NMSU Biology Professor Graciela Unguez and her students. 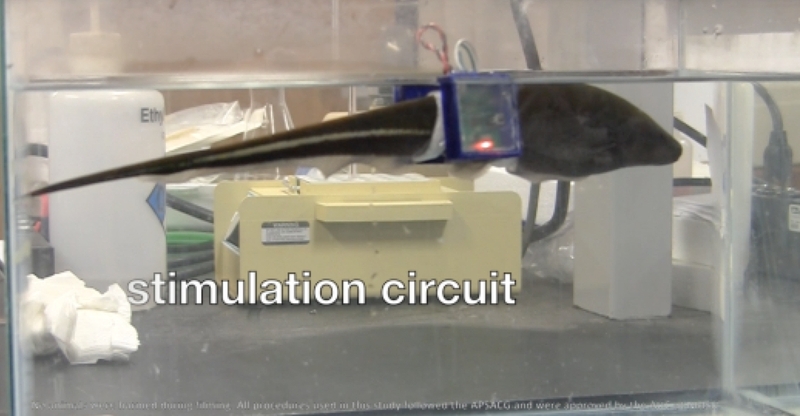 The fish, Sternopygus macrurus, have modified muscle cells that generate electric fields. They use the electric fields to find prey and to communicate with other members of their species. Graciela’s group studies behavior, communication, development of the electric organs, and gene expression as the basis for development. This visit and another on 18 May are an opportunity to help her students master the communication of science to general audiences, as well as for our students to learn some deep biology.